Jaipaul Papabathini was born and raised in India. He was raised by his parents, Pastor Phillip and Lilly Papabathini, to be a bold speaker & teacher. They imparted into him the foundational skills for caring and providing for the lost and hurting people of India. Jaipaul also inherited his father's heart for the widows and orphans. 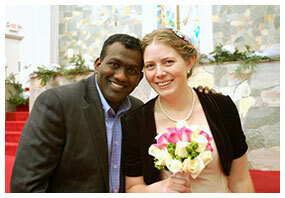 Jaipaul is married to Sarah Papabathini and they have two children, Jedidiah and Elizabeth. Jaipaul is also an evangelist, teacher, and international missionary. Jaipaul's fiery heart and passion for the lost and hurting have reached across all denominations and generations. His excitement and passion for life encourages others to do the same! Rescuing Lives is an outreach to the people in the poverty stricken areas of India. Rescuing Lives, through its support, delivers a life-changing hope to widows and orphans that have no one else to help them. Rescuing Lives provides assistance for needs in smaller villages, as well as Hyderabad and Vijayawada. The mission for Rescuing Lives is to support and care for the widows and orphans, and give them a hope and future through resources, training, and education. Rescuing Lives also endeavors to be a bridge between the needs of the diverse cultures in India. The Vision is for Rescuing Lives to be an effective fulfillment of the Great Commission in this generation. India, for many reasons too numerous to list, is a country hungry for Good News. The areas that we are ministering in have proven to be successful, and also provide easy opportunities for Westerners to engage in and visit this part of the world, partly due to its strong link to the English language. Jaipaul Papabathini is the Co-founder and Ministry Director of Rescuing Lives. Rescuing Lives' office is located in Arkansas, US. For more information about Rescuing Lives please contact us by emailing us at admin@rescuinglives.org. Rescuing Lives is a recognized non-profit organization and retains a 501c3 status.